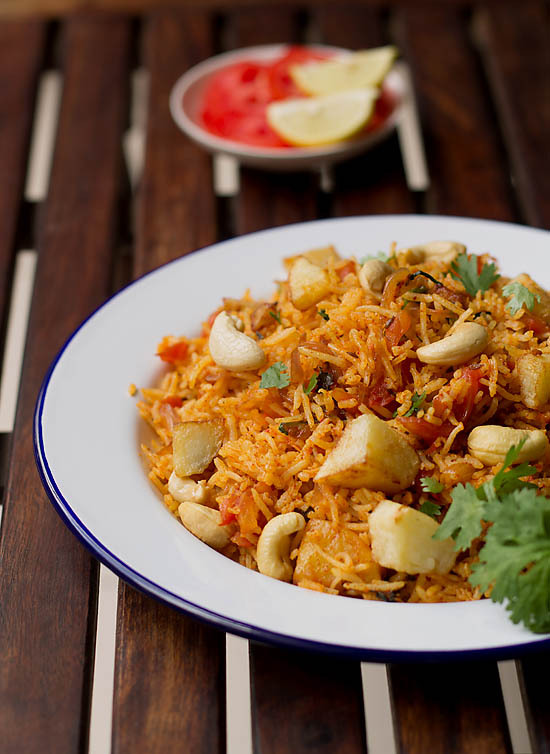 Tadka Rice recipe is nothing but tempered rice with spices, seasoning and some veggies. 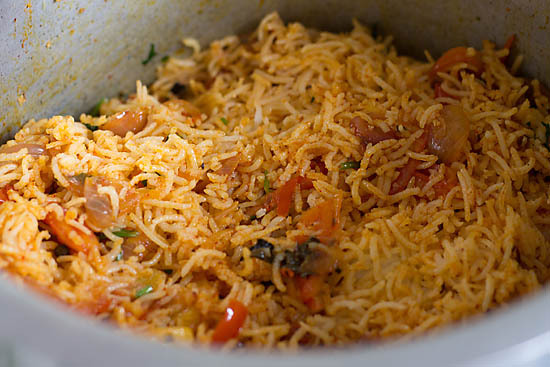 In India similarly phodniche bhaat is made in Maharashtrian style which is quite a popular dish. This is my own version of recipe and its relished and devored 🙂 in our house. If you have have lots of cooked rice of previous day and don’t want to waste. 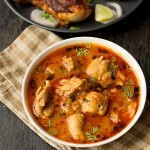 Then do try this recipe its flavorful, healthy and easy to make. 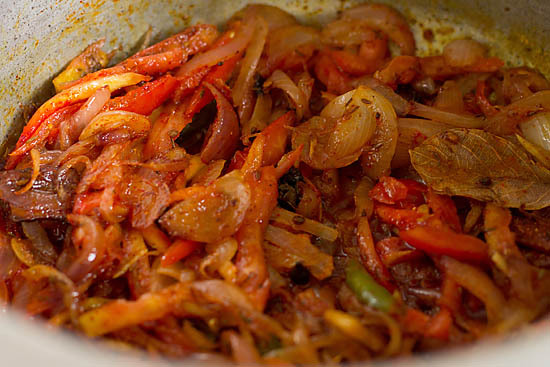 I have used veggies like potatoes, tomatoes, onion and ginger with herbs. 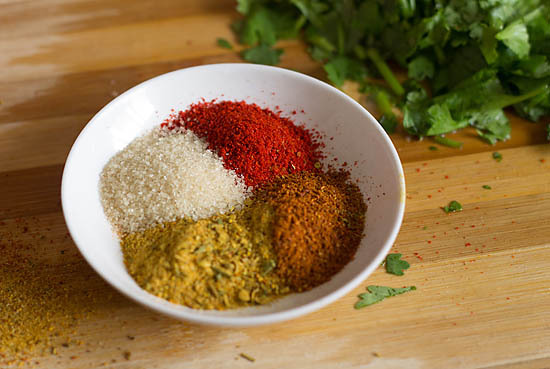 Spices like cumin, whole garam masala and garam masala powder. Further to lift the taste also added some pav bhaji masala to the rice. Club this tadka rice with papad, pickle and some salad. We had ours with french fries and salad. 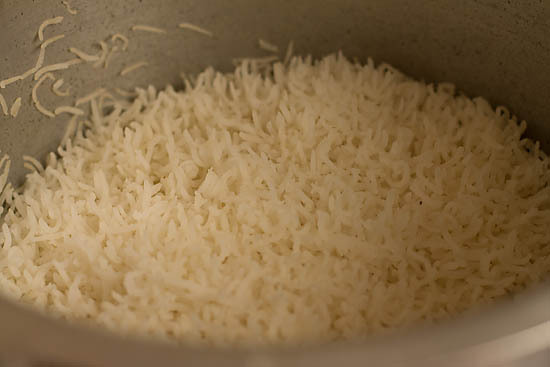 You could use any kind of cooked rice like short grained / long grained. Since I had to click pics have used basmati rice. Otherwise even with plain rice it tastes great. Mostly I use organic hand pounded rice or basmati from Dorabjees. 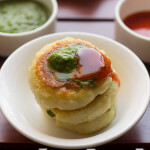 This dish is great to make as quick lunch, tiffin boxes or whenever you have hungry pangs. Go ahead try and make your own version of tadka rice. 1. 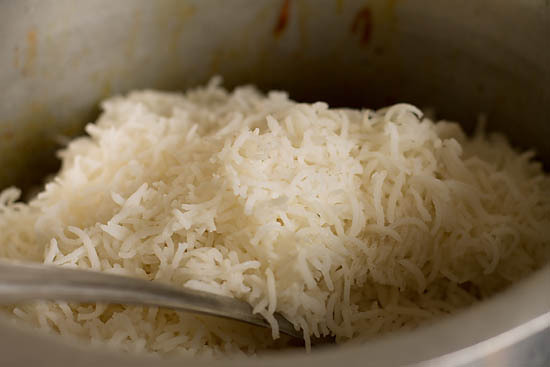 You could use leftover rice or boil rice and keep ready. 2. Firstly chop potatoes and other veggies. Keep them handy. 3. Also keep the spices and powder ready. 4. 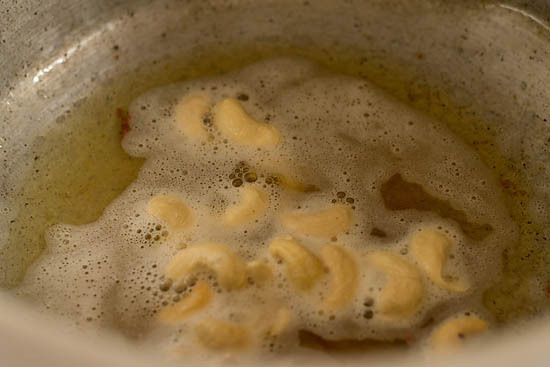 Heat oil in a vessel and shallow fry the potatoes until golden brown in color. 5. Place them on absorbent napkins. 6. In the same oil add cashwenuts. 7. Shallow fry for 1 minute and place cashews on an absorbent napkin. 8. 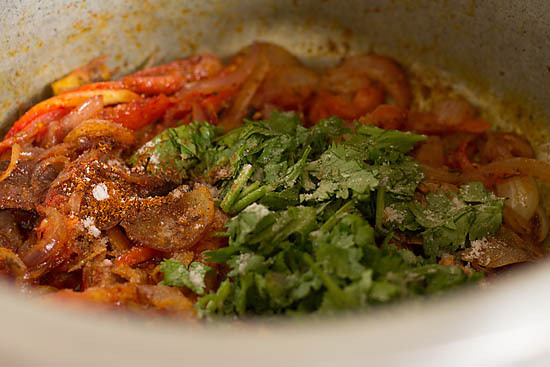 Add caraway seed and all the whole garam masala to the oil. 9. Now add onion julienne and ginger julienne. 10. 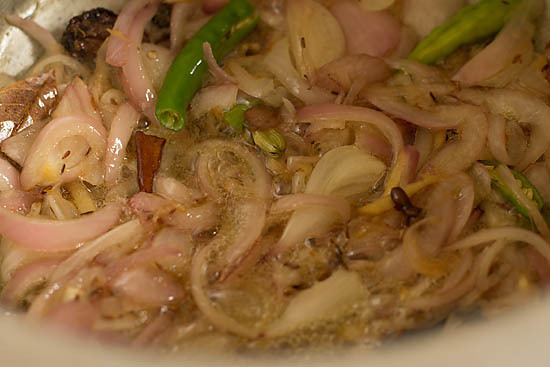 Saute until the onion becomes colorless or pink. Add the green chilies and butter. 11. Fry for a minute more then add tomatoes. 12. Add in all the spice powder mentioned in the ingredients. 13. Stir nicely and fry for a minute more. 14. 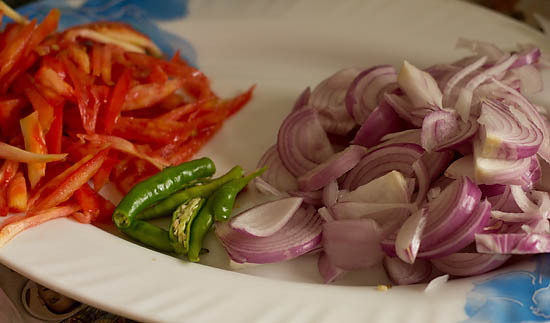 Also add sugar, salt, coriander leaves and garam masala powder. 15. 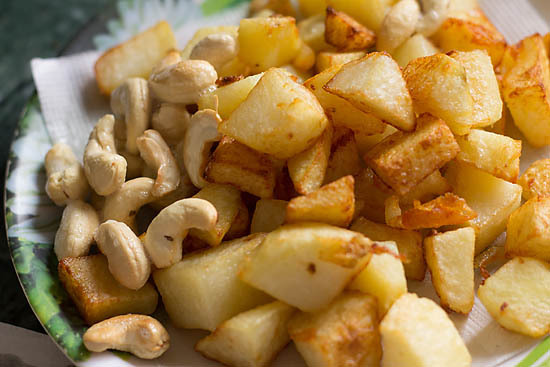 Also add fried cashew’s and potatoes. 16. Lastly add the boiled rice and stir gently else they might break. 17. Once everything is mixed just cover the rice with a lid and cook for a minute. 18. 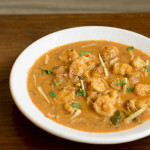 Switch off the gas and serve tadka rice hot with lime wedges, salad or papad. Tadka Rice recipe is nothing but tempered rice with spices, seasoning and some veggies. You could use leftover rice or boil rice and keep ready. 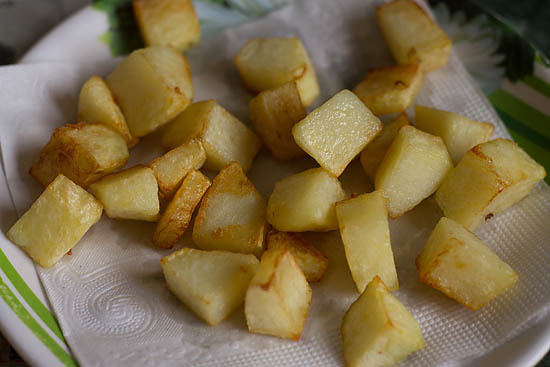 Firstly chop potatoes and other veggies. Keep them handy. Also keep the spices and powder ready. 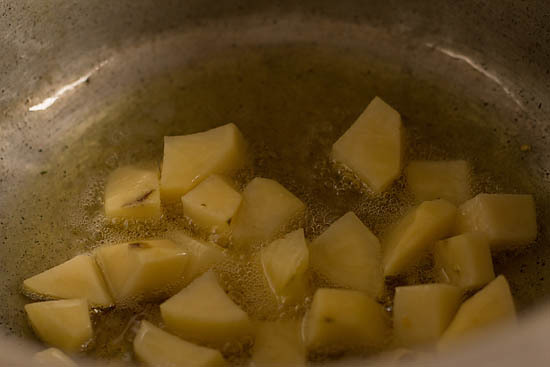 Heat oil in a vessel and shallow fry the potatoes until golden brown in color. Place them on absorbent napkins. In the same oil add cashwenuts. Shallow fry for 1 minute and place cashews on an absorbent napkin. 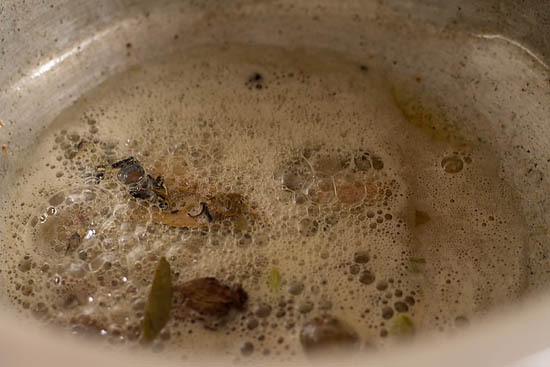 Add caraway seed and all the whole garam masala to the oil. 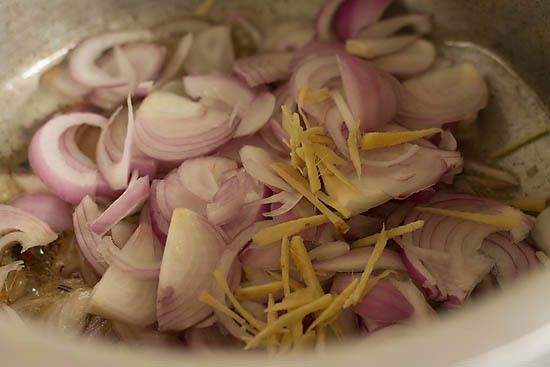 Now add onion julienne and ginger julienne. 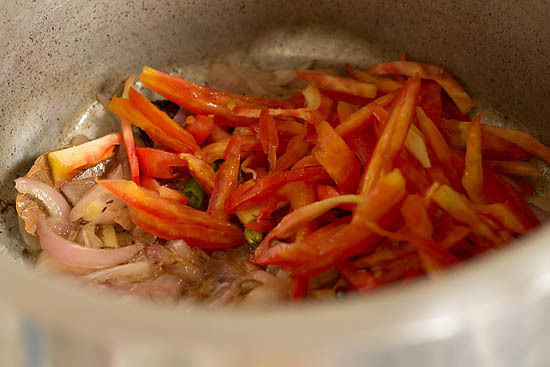 Saute until the onion becomes colorless or pink. Add the green chilies and butter. Fry for a minute more then add tomatoes. Add in all the spice powder mentioned in the ingredients. Stir nicely and fry for a minute more. 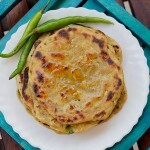 Also add sugar, salt, coriander leaves and garam masala powder. 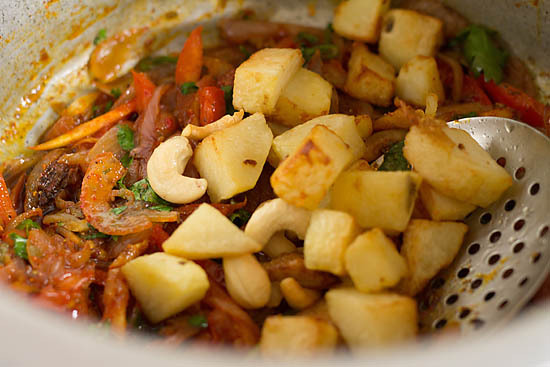 Also add fried cashew's and potatoes. Lastly add the boiled rice and stir gently else they might break. Once everything is mixed just cover the rice with a lid and cook for a minute. 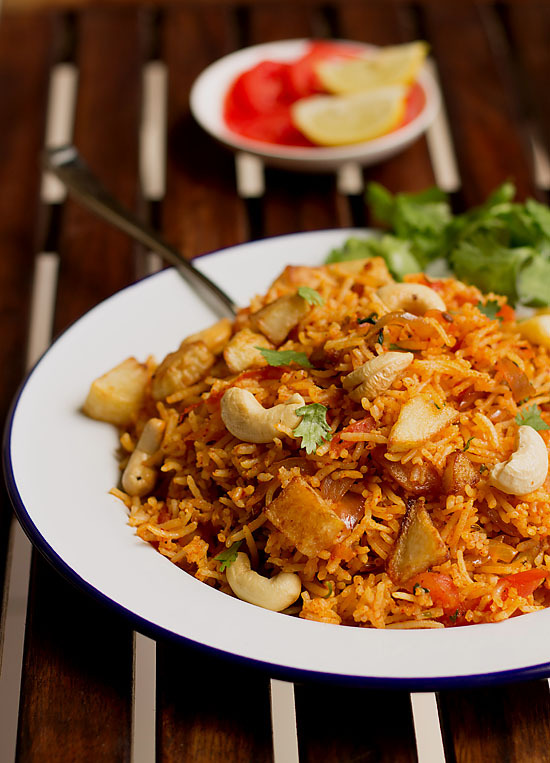 Switch off the gas and serve tadka rice hot with lime wedges, salad or papad. 1. Alter spices and seasoning as per your taste. 2. I have used nagkesar (cobra saffron) if it's not available then just skip it. 3. 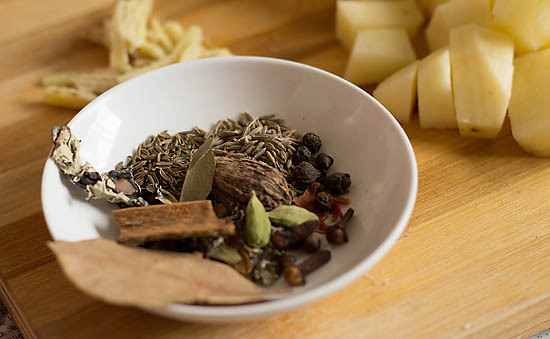 You could use garam masala of any brand. I used shaan garam masala. 4. Instead of cashws you could use groundnut's. 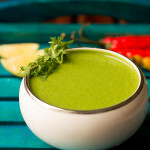 UR all recipes are wonderful keep writing and thank a ton for sharing ? welcome always shaheen 🙂 and thankyou for your positive words. Very helpful article. Keep writing! This sounds soo much yumm n flavoursome . 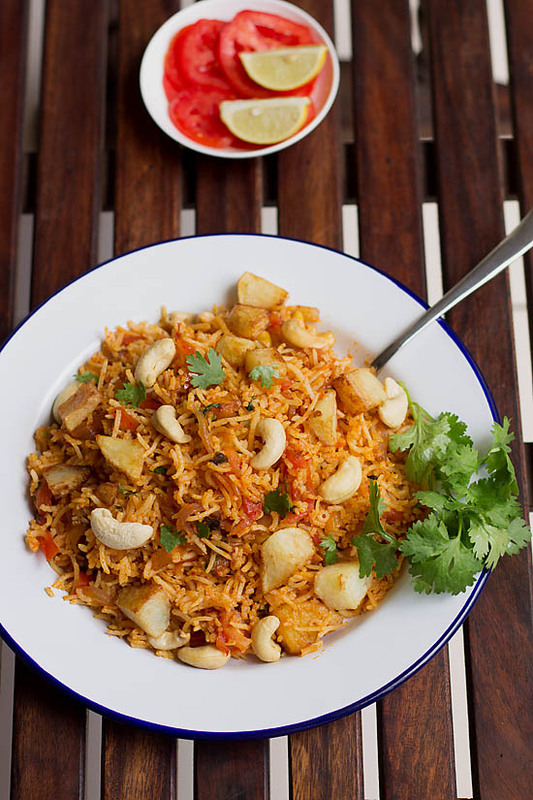 A great twist to humble pulav. 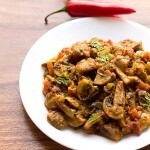 Isn’t this similar to tava pulav ?